Sophie of Mecklenburg-Güstrow was the daughter of Ulrich III and his wife, Princess Elizabeth of Denmark. On 20 July 1572, when she was fourteen, she was married to the Danish king, Frederick II, at the urging of his council. (For his part, Frederick would rather have married his long-time mistress, but he was barred from doing so by that same council). Whatever the reasons for their marriage, and despite what Frederick's preferences may have been, the couple produced eight children. During her husband's lifetime, Sophie seems to have played no role in government. After the death of Frederick II on 4 April 1588, Sophie's son Christian IV, then eleven, became king of Denmark and Norway, but his mother was denied a place on his regency council. However, in 1590, she was appointed as regent of the duchies of Schleswig-Holstein for her son, a role she played until 1594. She was also the reigning dowager of her own estates of Lolland-Falster from 1588 until her death. Sophie also intervened when two Danish noblewomen found themselves in trouble. 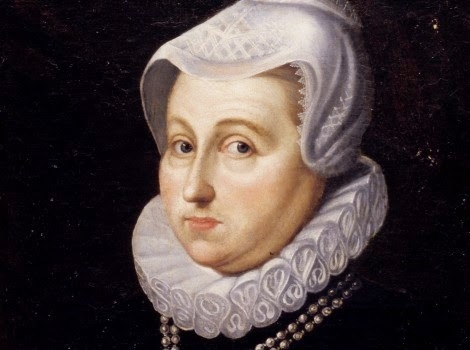 In 1599, Rigborg Brockenhuus, a maid of honor to her son Christian's wife, Anne-Catherine of Brandenburg, got herself into trouble for having an illegitimate child. 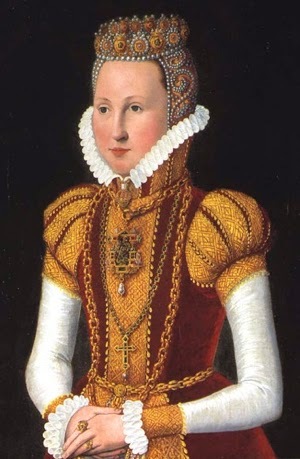 Rigborg was sentenced to life imprisonment in her father's castle, but in 1608 Sophie intervened to have the disgraced woman allowed out once a week so that she could attend church. In 1626, when her grandson's mistress, Anne Henriskdattar Lykke, was arrested on the order of Christian IV (who thought she was a bad influence on his son), Sophie again intervened. Anne Lykke was a noblewoman, and Christian IV's treatment of her had brought him into conflict with his council. The king then accused her of having hired a witch to cause him harm. Anne Lykke was eventually released, though she was under house arrest on her estate. When Dowager Queen Sophie died 14 October 1631, she was recognized as the wealthiest woman in northern Europe. I have not been able to find a biography of Sophie of Mecklenburg-Güstrow, but there is a fair amount about her in Leeds Barroll's biography of her daughter, Anne of Denmark, who eventually became queen of England. *When Sophie arranged the marriage of her daughter, Anna, to the king of Scotland, the match brought her into conflict with the regency council. Nevertheless, Anne of Denmark was married to King James VI of Scotland, on 23 November 1589. After Elizabeth Tudor's death in 1603, James VI of Scotland became king of England as James I, and Sophie's daughter Anne became queen of England.